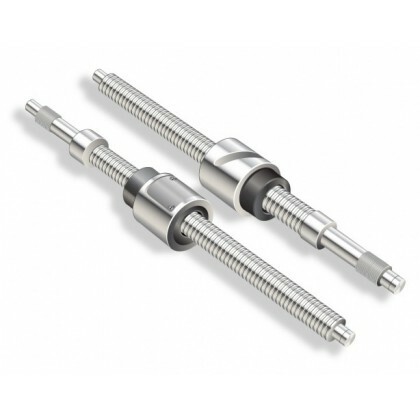 Cold rolled formed ball screws are ideal for applications that do not require the finite accuracy of the ground ball screw equivalents, but are still required to reliably transmit a linear load with a high degree of repeatable accuracy. Utilising a wide range of ball nut designs, diameters from 4mm to 80mm and leads of 1mm to 50mm are available with accuracies of C7 to C10. 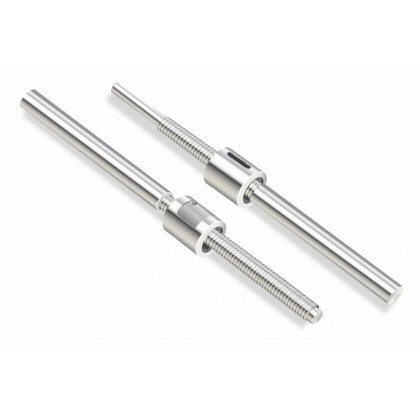 All rolled ball screws can be supplied cut to length, with end journals machined ready to fit into an application. 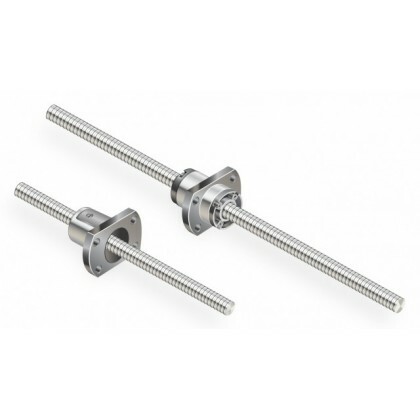 Ball screws that have been cold rolled formed are ideal for applications that do not require the finite accuracy of the ground ball screw equivalents, but are still required to reliably transmit a linear load with high degree of accuracy. 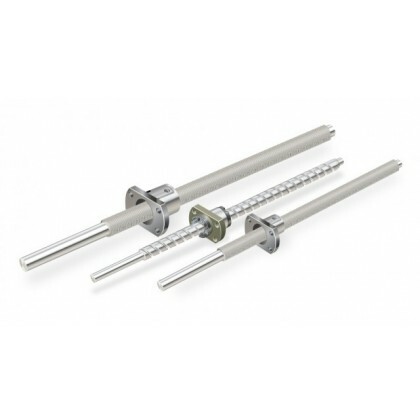 The following series are available in the precision rolled screw format. Put simply, the rolling process forms a thread for less cost than grinding. However, we can still achieve accuracies of C7-20 (that's 52 microns per 300mm of lead accuracy - 20 microns of axial backlash). 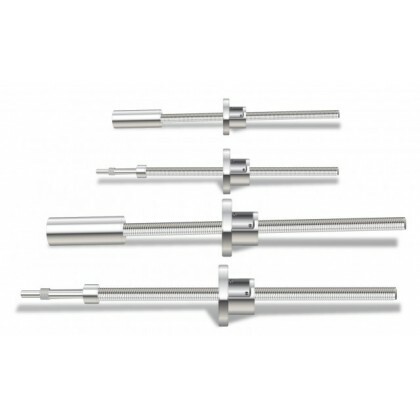 We have well over 3 decades of experience in ball screws, ABSSAC can assist you through the selection process to ensure the right part is chosen for the application.